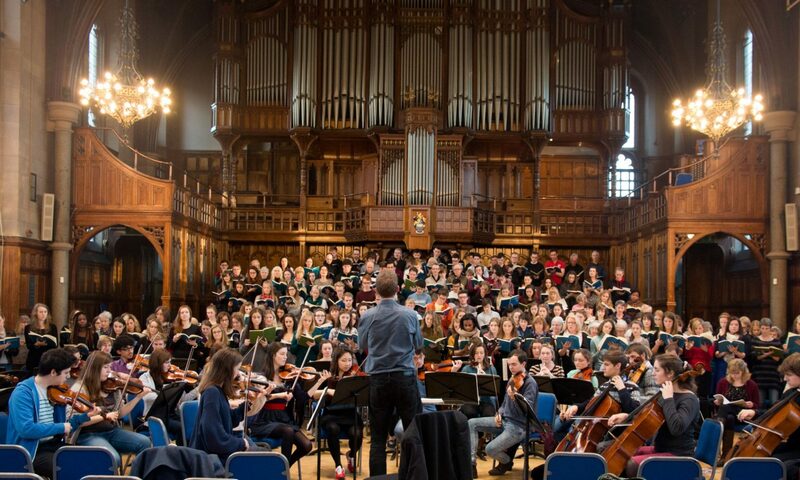 The Manchester University Choral Programme is made up of Manchester University Chorus, Ad Solem, and the Cosmo Singers. Led by Robert Guy, they perform in concerts in Manchester and further afield throughout the year. While Ad Solem and Cosmo Singers are auditioned ensembles made up of music students, the University Chorus is not auditioned and includes both students and non-students of all ages. This semester the Chorus will be performing Carl Orff’s Carmina Burana and Kevin Malone’s Creations. Works by Benjamin Britten, Hubert Parry, Roxanna Panufnik, James MacMillan, Judith Weir, and more. Please note that due to unforeseen circumstances this concert starts earlier than originally advertised. We apologise for any inconvenience.